Redakted Media is a new media company in Atlanta, Georgia. See – we work regionally as well! They needed a custom-designed site to showcase their skills – and this WordPress site delivers. Using a custom theme, we delivered a site with interesting interactivity and some sweet parallax action. We built and designed this with heavy input from our client – it was truly a joint effort. 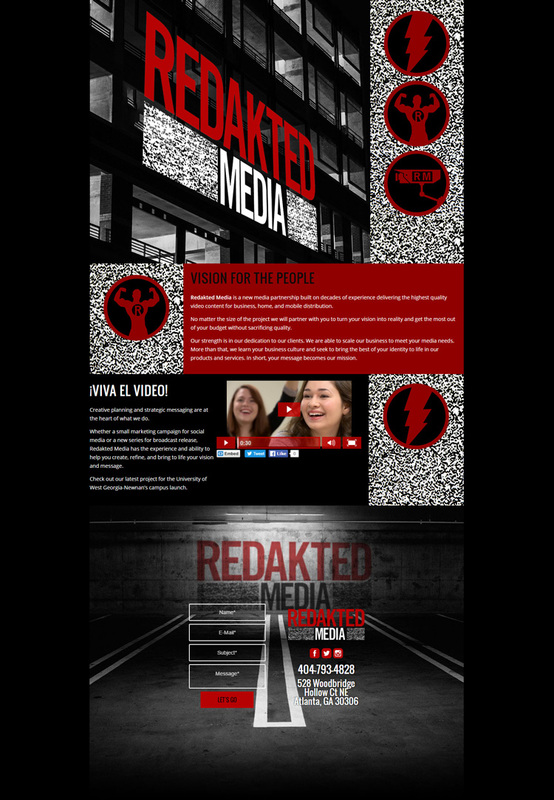 If you need cutting-edge video or content, give Redakted a shout!